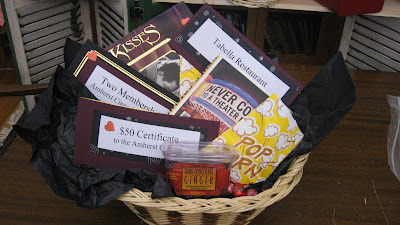 Friends of the Jones Library System News: The Valentine Basket Auction is coming very soon! The Valentine Basket Auction is coming very soon! The wonderful Valentine Baskets, full of books and chocolate and great gifts for everyone, will be in the Jones Library Atrium from February 3rd to February 11th. Please come and browse the baskets and place a bid on your favorite ones! All proceeds go to the library book fund, so you can treat yourself (or someone you love) and help the library at the same time!